Nepal is a multiethnic country, including more than 59 indigenous groups which constitutes 40% of its total population. Many of the communities fully depend on forest and timber products for survival, entertainment and religious purposes. Wood is an indispensable part of their live, though its importance is diminishing due to the influx of cheap alternatives. Meanwhile, attempts are made by individuals and groups to preserve and promote their tradition of using wood. 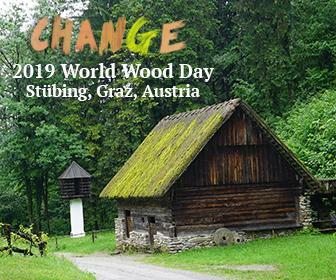 IWCS team visited 3 of the major ethnic groups, namely Newar, Tharu and Chepang, in Kathmandu, Dang and Chitwan to explore their distinguished and diversified wood culture and introduced some of them to the global audiences in the 2016 World Wood Day celebration at Nepal Academy. The Far North District includes the northern tip of the North Island, New Zealand. Located in Waipoua Forest, Tane Mahuta, the Lord of the Forest, is known as the biggest living kauri tree in New Zealand. And in the town Kaitaia lives the Master Waka Builder Hekenukumai Hector Busby, who has built over 30 waka and voyaged to Hawaii and Easter Island without modern navigation instruments. Among the Far North District, the Waitangi Treaty Grounds is the most important place that preserves the cultural heritage of Maori. The Waitangi Treaty Grounds is where the Treaty of Waitangi sighed in 1840, and preserves the Treaty House, the Carved Meeting House, the Flagstaff, and the biggest Ceremonial War Canoe. The meeting house plays a significant role in Maori's culture and history. All the wooden sculptures around the meeting house represent their ancestors of their tribes, and the meeting house itself is also an important and sacred venue for ceremonies held by Maori people. Kilwa Kisiwani (which means "Kilwa of the Island") is located off the coast of Tanzania, East Africa. This thriving seaport was once being forgotten, but now is a protected site in the list of UNESCO world Heritage. Kilwa Kisiwani was subjugated to different races, including Persian (Iranian nowadays), Portuguese and Arabian due to its superior geographic location for trading. It was once a famous seaport but lost its glory since the mid-19th century. There are still around 1000 residents living in this tranquil island at the present time. People dwell in huts that are made of palm leaves and logs, which are collected from trees on the island. Villagers build and repair dhows for fishing. Fishing is the main economic activity, but after Kilwa Kisiwani being listed as the world heritage, the newly developed eco-tourism has brought in additional income for villagers. Located 180 km west from city Arusha, the Ngorongoro Conservation Area (NCA) is a reserve with 8292 km2 land and is recognized as an UNESCO World Heritage Site. The main feature of NCA is the Ngorongoro Crater, a large volcanic caldera formed around 3 million years ago when a giant volcano exploded. This natural enclosure is populated by a wide variety of wild animals, including herds of wildebeest, zebra, antelopes…etc. Apart from wild life, Maasai tribe is another feature to observe in NCA. The Maasai is a semi-nomadic group of people whose lifestyle centers on their cattle. Moreover, around NCA, there is a lake named Eyasi where Hadzabe and Datoga people still live in a traditional life. Malacca, located in the southern region of Malay Peninsula, is the third smallest state in Malaysia. The capital Malacca City is 148 kilometers southeast from Kuala Lumpur, the capital of Malaysia. And the city has also been listed as an UNESCO World Heritage Site since 2008. Malacca has been colonized by the Europeans for more than 400 years. Portuguese was the first invader after Sultanate in 1511. Malacca then became a strategic base for expansion and also for spices trading. After Portuguese, there were also Dutch, British, and Japanese colonization. It was not until 1946 that the Malays toppled the regime and Malacca finally became part of Malayan Union, which later became Federation of Malaya and then eventually Malaysia. Malacca is therefore deeply influenced by the history of foreign occupation, which can be found not only in material remains, but also in cultural tradition, such as food, dance, and festivals. The Stadthuys, Museums of History and Ethnography, has abundant records of the past stories, especially the sailing history, which includes models of ancient wooden boats and archives.